SOLiD, a wireless densification infrastructure company announced today the opening of its newest North American office in Denver, Colorado where the company’s regional employees will innovate and collaborate with industry partners and customers. The Denver office features a technology lab and classroom as well as meeting and work areas. SOLiD, which last year relocated its North American headquarters to Silicon Valley, continues to achieve strong performance and growth within the wireless densification market through its portfolio of RF Amplifier and Optical Transport solutions. The company is recognized as one of the top five manufacturers of in-building wireless solutions by ABI Research and counts among its customers some of the world’s best-known venues. The new office will serve as a nucleus for SOLiD technology and product innovation across the company’s wireless densification solutions. The lab and open office space fosters collaboration with visiting members from SOLiD’s R&D team based at the company’s global headquarters in Seoul, Korea as well as North American partners and customers. The classroom provides an additional location for members of the wireless ecosystem to obtain Radio Frequency (RF) training and SOLiD product certification. SOLiD University courses immerse students in hands-on, instructor-led training designed to deliver theoretical and practical RF knowledge and experience. 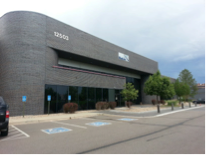 The new SOLiD regional office is located at 12503 E. Euclid Drive in Centennial, Colorado, approximately 30 minutes south of Denver International Airport.